About three decades ago, in the land of Yonder, an atrocity happened. Deep in play, running through our country yard of part grass, part goat heads, me and my two brothers were scarred for life. While in the midst of a game I no longer remember, our neighbor peed in his water cup. Our water cup—our yellow plastic, color of the brightest sun, water cup. Being economically-minded, my mom thought some elbow grease and some bleach would do. She placed the yellow cup back in the cupboard. Where it sat for YEARS, unused. It didn’t help that the cup happened to be yellow. For me, this color had been forever branded as the “ew” color. I think my mom finally used it out of frustration—“we don’t waste”, she said. “We don’t drink out of pee cups”, we said. She wouldn’t throw it away, we wouldn’t use it, and there sat the most stubborn statement of all time, gathering dust in the cabinet. Now that I have kids of my own, I understand the value of pasticware. It can withstand drops, punts, sword fights, rock collections and temper tantrums. When Costco displayed a beautiful, multicolored set of cups that looked like glasses straight from the colors on Claude Monet’s palette, we grabbed a box and nearly sang as we pulled them out, one by one. Two of them are yellow. One of the first things I did was serve water to my brother from one of the new yellow cups—just for my own entertainment. Heh. But every time I look at those yellow cups, pee comes to mind. Why? Why, why why why? It’s been close to three decades, yet one offensive act from a neighbor has ruined yellow for me. My kids don’t even like the yellow cups. I’ve never told them the story, but they must sense my revulsion when I go around it for any other color (even light green, which thanks to the 90’s craze about the color green, that color is (almost) ruined for me too). But I don’t want to see the world through pee colored glasses, I mean, really, this is getting ridiculous. 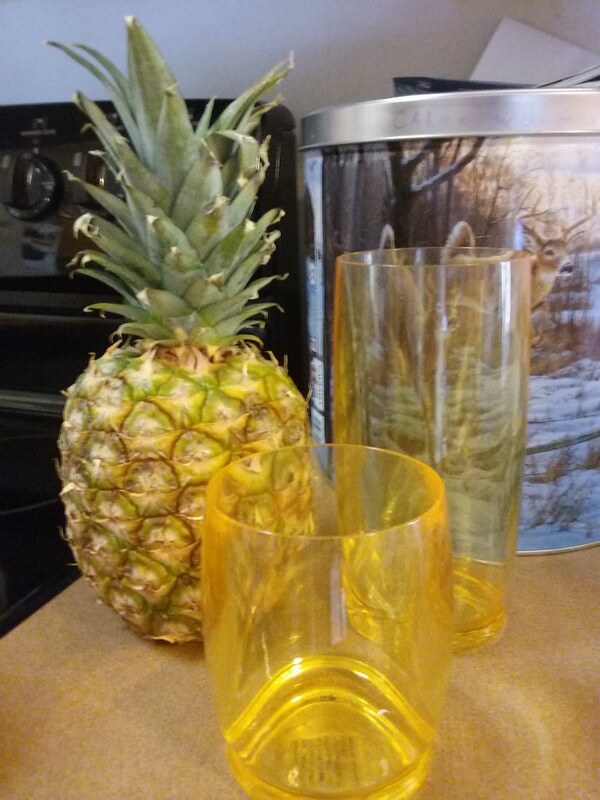 So I started drinking from the yellow cups, and serving my kids drinks from the yellow cups (It’s like they’re learning my prejudices through osmosis). I must see yellow as beautiful again. Time to train the brain. Yellow is sunshine, yellow is butter, yellow is jelly beans, sunflowers and Belle’s dress. Yellow is the center stripe in the rainbow, the glint of gold, and is the best flavor in a package of skittles. God made yellow and if anyone can take a yellow pee cup and make it into a lemonade cup, He can. Do you have a reason why I should embrace yellow? Or maybe you have a similar story of your own? Tell us in the comments.